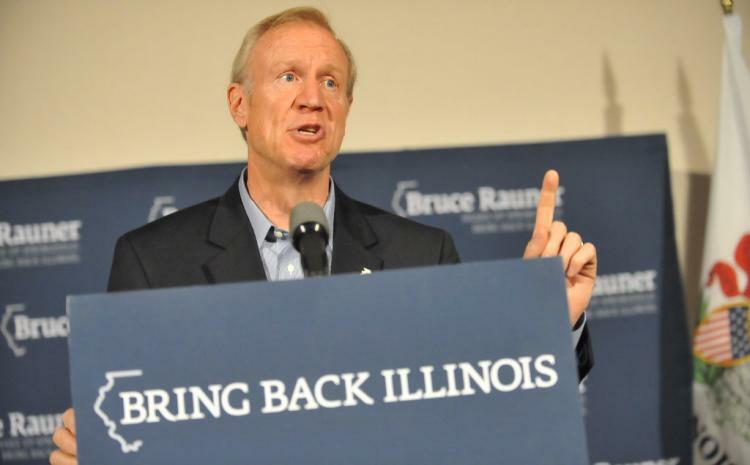 Republican Bruce Rauner on Tuesday said if he were governor, he would have vetoed Illinois' medical marijuana law – but now that it's law he called for the state to scrap the way it's giving out licenses to grow and sell the substance. The former venture capitalist said the lucrative licenses should go to the highest bidders. Rauner proposed having an auction for medical marijuana licenses. "Then we can actually make money from the process. Why not?" Rauner said. "Our taxpayers in Illinois deserve a break." 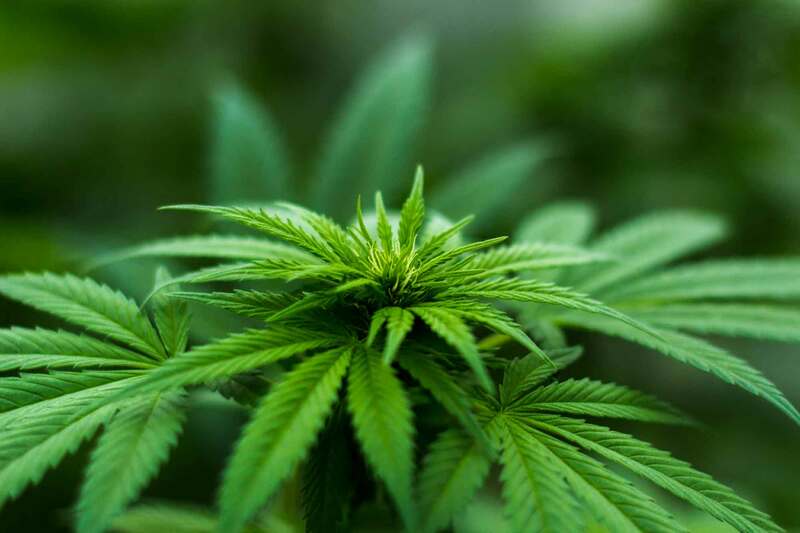 Democrats and medical marijuana advocates roundly criticized Rauner's auction suggestion, saying it would benefit the rich, hurt seriously ill patients and potentially cut out the best qualified license applicants. But Rauner said he feared the business of medical marijuana in Illinois was secretive and ripe for corruption. State officials are now accepting business applications for those seeking to grow and sell the medical marijuana. The process opened up Sept. 8 and closes Sept. 22. Right now, there is a competitive application process for 22 licenses for cultivation centers and 60 licenses for dispensaries. "Thanks to Pat Quinn's secret, insider process, there are a lot of questions left unanswered," Rauner said, reading from prepared remarks at a news conference. "But there is something we know for sure: Something stinks, and it's not the marijuana." The names of those applying are not public, nor would the rejected applicants become public once the licenses are given out, according to the new law. A chief sponsor of the legislation said the application process was designed to be secretive, so licenses aren't given out on the basis of politics. State Rep. Lou Lang, D-Skokie, said the law was written so that the names and any identifiers of the applicants are not known to the state agencies making the licensing decisions. Rauner, however, pointed to former Quinn chief of staff Jack Lavin, as an example of a danger of political inside dealing. While on the governor's staff, Lavin worked to pass medical marijuana. One month after it was signed into law, Lavin left the governor's office. Earlier this spring, Lavin signed on a client seeking a medical marijuana license. Lang called Illinois' law among the most rigorous in the nation. "The whole notion that Mr. Rauner would veto the bill, the notion that it would go to the highest bidder, is just callous, and flies in the face of logic,"" Lang said. "It's pretty insulting to all the legislators who voted for it, it's insulting to all the patients. ... "So really? ... He would say the person with the most money can get the business? ... They could all be people who aren't qualified. They could all be on the same block, the same city." Rauner's position is significant because the pilot project in Illinois would be up for renewal in 2017. The next governor would be key to allowing medical marijuana to move forward in the state. When asked if he was just not happy with the current bill or whether he opposed medical marijuana, Rauner said: "Medical marijuana is something I've not supported. It's not a big issue for me either way." The governor's office took exception with Rauner's comments, calling the process "competitive" and "transparent." Chris Lindsey, a legislative analyst for the Marijuana Policy Project said he was "deeply troubled" by Rauner's proposal to auction off the licenses. "If somebody was pulling political connections in order to get a license, that is going to be clear because that organization will be made public," Lindsey said. "I have to say that I am deeply troubled that he would treat this program as a money maker for the state ... I'm not sure he understands what the program is for. This isn't a way to raise revenue. This is a way to provide an option to seriously ill patients. If he wants a money maker he should follow in the footsteps of Washington and Colorado and support a system to tax and regulate marijuana for adults 21 and over. States don't treat medical marijuana programs as a way to squeeze money from seriously ill patients."